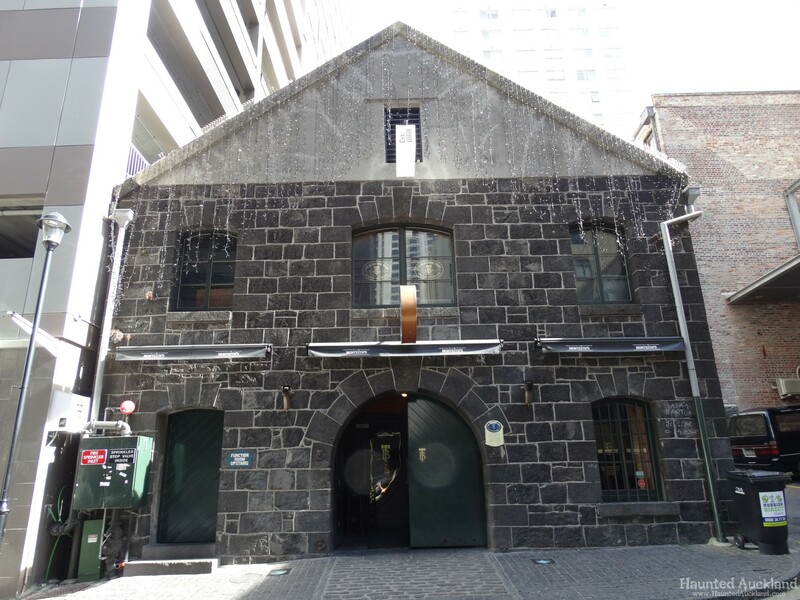 In 1861, whilst the rest of New Zealand was being settled; a nondescript block building goes up in the thriving commercial centre of the far-flung British colony of Auckland. One hundred and fifty years later, the Bluestone Store resolutely remains anchored in Durham Lane, surrounded by high-rise apartments and offices. 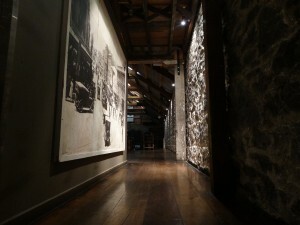 It is now one Auckland’s oldest commercial buildings, and referred to as The Bluestone Room. Located on Durham Lane, just off Queen Street, it’s a superbly restored heritage building, with a stone floor entranceway, exposed native Kauri beams, wood panels atop bare volcanic stonewalls and rustic furnishings. 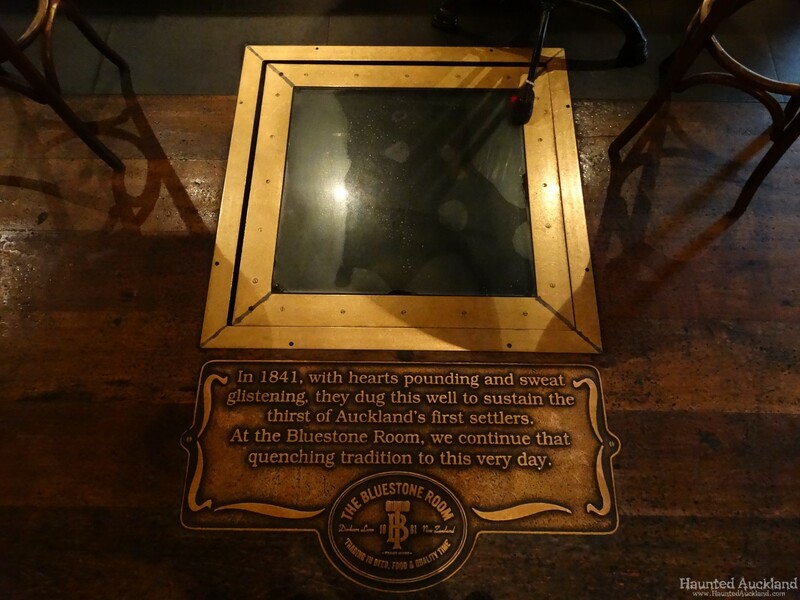 A plaque in the floor also records that it was the site of Auckland’s first well, it’s still there for customers to peer down into the crystal clear water, so there’s definitely history when it comes to quenching the thirsts of inner city Aucklanders. 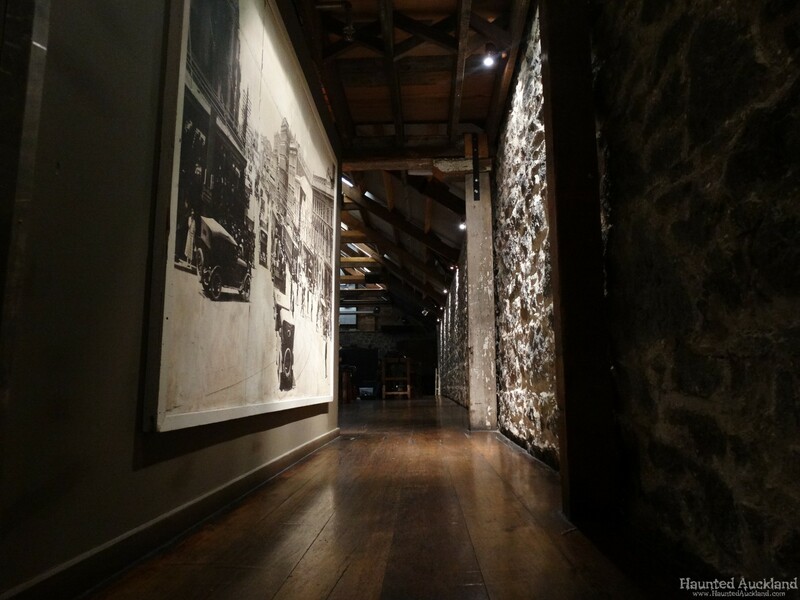 Combining this history with modern craft beer and a gastro pub, The Bluestone Room is a true hidden gem. 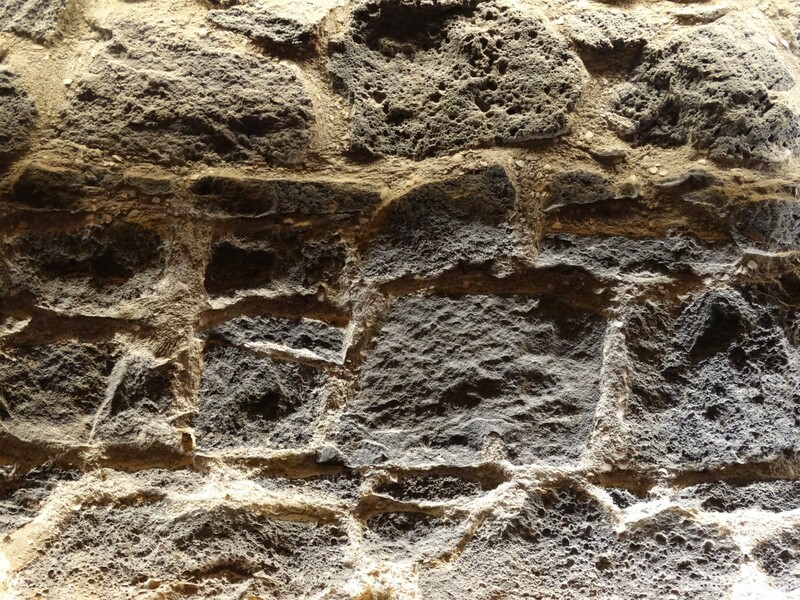 Named for the distinctive basalt volcanic stone – quarried and carted from Mt Wellington – the store has the Historic Places Trust’s highest degree of protection as a category one building. It is also listed as historically significant by Auckland City Council, on both its operative and proposed district plans, and forms part of the Midtown Walk, as part of Auckland City Heritage Discovery Walks. 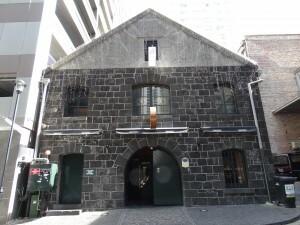 It is one of the city’s oldest examples of a small 19th-century warehouse. The store survived the wrecking ball, which demolished the neighboring His Majesty’s Theatre in the 1980s, a site now home to the 24-level CityLife Auckland Hotel. With the history it has, this place must have some ghosts. A timber house was probably the first building on this site. The land was first listed by European settlers in 1842 in a crown grant. The building’s history shows that Levy & Goldwater was the building’s first owner. Bernhard Levy and Nathan Goldwater were storekeepers requiring a warehouse for their goods. The scoria building was designed by architect Reader Gilson Wood, born in Leicestershire, England, in 1821. He emigrated here in 1844, fought in the New Zealand Land Wars and was appointed Colonial Architect in 1849. In 1865, Levy & Goldwater leased the building to auctioneers Charles Emmison Knapp and Morton Jones for £40 on a 99-year term. 1878, confectioner Edward Waters was listed on valuation rolls as the occupier of the building, followed by agricultural merchants Jakins & Wilcox, who advertised in the New Zealand Herald in 1870, selling malting barley, salt, butter, rye grass and bone flour. New Zealand Insurance bought the stone store in 1882, but sold it four years later to Auckland merchant J. Craig, who owned it until 1919 when he sold it to department store owner John Court. During Craig’s ownership of the building, the lease was taken over by Samuel Carey Brown of the adjacent Brown’s Mill, who probably used the building as a storeroom for the coal he used to run his mill’s engine. Between 1911 and 1922, Kempthorne Prosser used the building for manure storage. Then it became a warehouse for John Court’s department store. In 1936, it was sold to Kiwi Polish (NZ), who operated a factory and shop from the premises. In 1963, L.W. Twist bought the building and had his customs agency on the first floor. He leased the ground floor to Top Twenty Promotions, who put a coffee bar in, then later transformed the building into a Night Club. 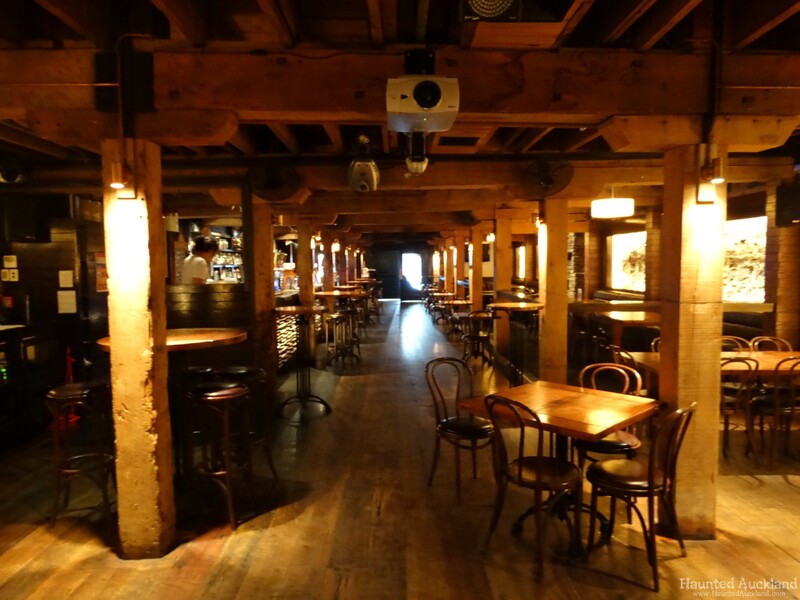 Originally named “The Top 20” which was re-named Radio Hauraki’s “1480 Village”, it then became “Club Bo-Peep” and then “Granny’s” Nightclub – with Grandpas Bar upstairs. 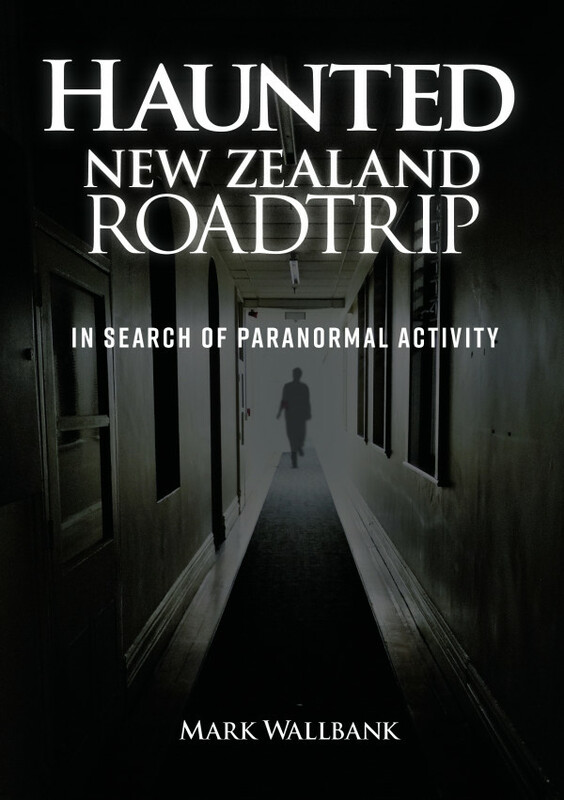 Tommy Adderley – NZ’s “Mr Rock and Roll” ventured into club ownership and operated the building as Bo-Peep nightclub, and as The Bo-Peep it was unlicensed, everybody was drinking “coke” there was a lot of under the table passing of little bottles of Rum…but no bar! He then refurbished it and re-opened it as Granny’s. This became the permanent home for The Headband. Granny’s launched a number of successful bands over the years including Dragon, Ragnarok and the Paragons. As Granny’s, it was also owned by Human Instinct drummer Maurice Greer. During 1970 The Human Instinct (including Billy TK) played 3 nights a week residency at Club Bo Peep, on one occasion with guest band The Game (1970 Battle of the Bands Auckland Winners). When The Rolling Stones visited NZ during the 1970s, Keith Richards’s delighted a surprised crowd upstairs in Grandpas Bar with an impromptu performance after the concert. However, by the end of 1977 it was largely derelict. In the early months of 1978 it was – and the word should be applied very loosely – ‘refurbished’ as Zwines, Auckland’s second dedicated punk venue (the first, Hugh Lynn’s Diamond Dogs in Queen Street, was short lived) where the Scavengers held a long residency. By then the building had a quite a history – so the rumor went – even Auckland’s first jail? But by the early 2000s, the block building was a cumbersome obstacle in a gravel-lined car park. 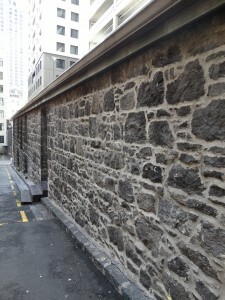 They had paved the old Radio New Zealand studios across the road in Durham Lane to put up a parking lot, but the historic old stone building was still there. Broken and deserted, the place which Max Merritt opened in the mid 60’s and where Larry’s Rebels, the Pleazers and the La De Das started their careers was now gutted and doubled as a workers’ lunchroom, dwarfed by surrounding hotels and parking buildings. 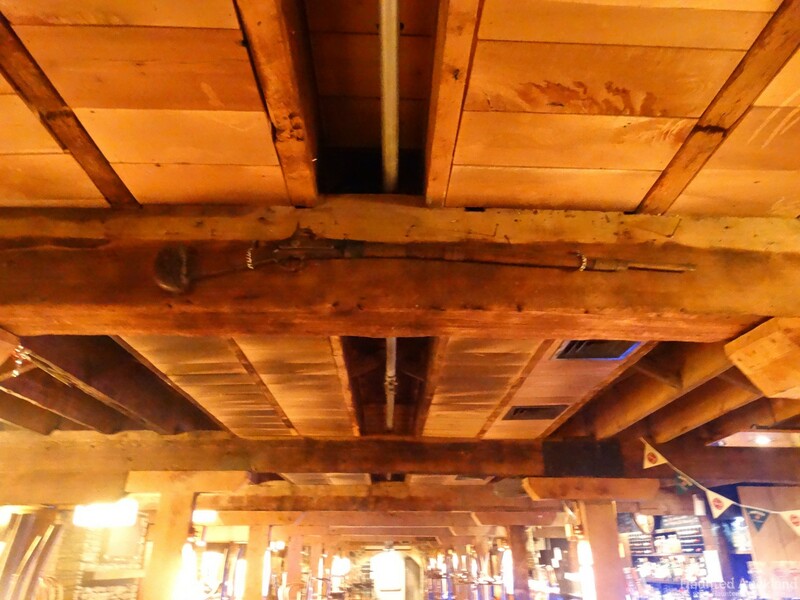 In early 2003, quantity surveyors Kingston Partners estimated $445,000 was needed to fix its rusted and leaking roof, repair mortar, do carpentry and fix the brickwork. So in June, owners Rheingold Parking, lead by Randolf Baxter, undertook to carry out the restoration of the building in accordance with the conservation plan prepared by Dave Pearson Architects. Since then, it has been earthquake strengthened and fully refurbished as a bar and restaurant downstairs, with a function room on the upstairs first floor. The interior was craftfully redecorated by Rolly Doyle, (who also set up Takapuna’s Copper Room) and Ross Vickers (Danger Danger in Whangarei) and officially opened by Helen Clark the PM at the time. During 1987, two weeks into her role as the Minister of Conservation, Helen Clark saved the property by issuing a protection order, her first action as the Minister, a plague in the corner of the bar commemorates this. As reviewed in September 2011 by stuff.co.nz The Bluestone Room comes in number one spot as one of Auckland City’s Happiest Bars. The Upstairs Function room possesses its own magical atmosphere, basking in old world charm and the most amazing history. 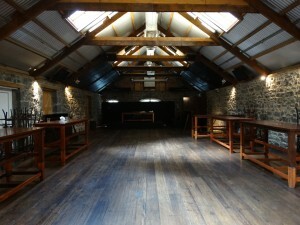 The room has been designed with versatility in mind, and can cater to a host of function styles including corporate events, award dinners, cocktail parties, conferences, fashion shows, private parties, anniversaries and weddings. Forming an integral link to Auckland of old, The Bluestone Room’s Kiwi-pioneering theme encompassing state-of-the-art audio-video technology and lighting creates a wonderful atmosphere for all occasions. With its low ceilings and acres of faded heritage wood in the downstairs bar, The Bluestone Room is definitely more of a winter pub. 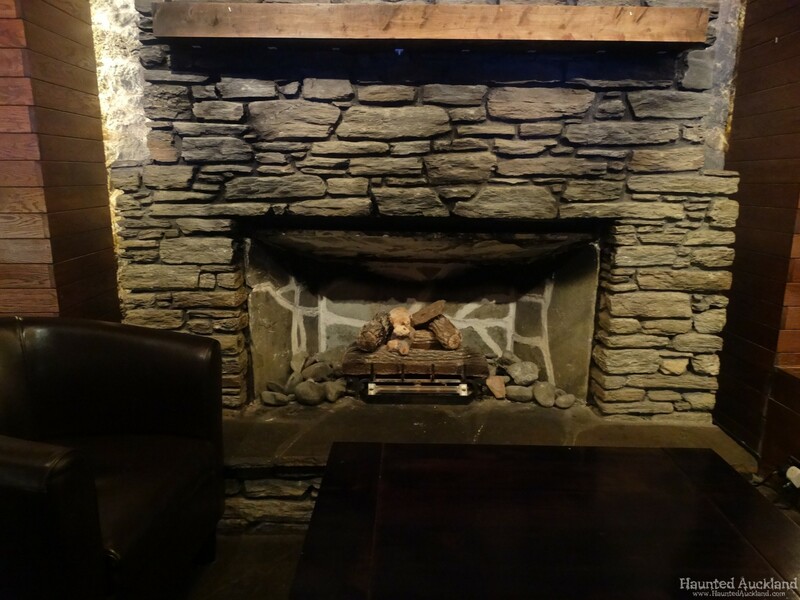 There are a couple of outdoor tables out the front, but you’re better off sharing a big table inside or parking yourself in a leather armchair in front of the fire. Team on the night – Mark, Matthew and Ian. Weather conditions: Overcast with light rain midway through the investigation. Equipment used on the night – Various cameras ( photo and video – tripod and hand held), Audio recorders, Vibration and motion sensors, Go-Pro camera, EMF meters, Digital Thermometers ( Surface and atmospheric). 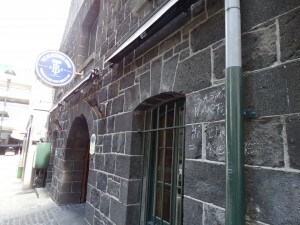 Ian – The bar is hidden away within a character heritage building in Auckland Central. It was first built in the 1850 and recently renovated. 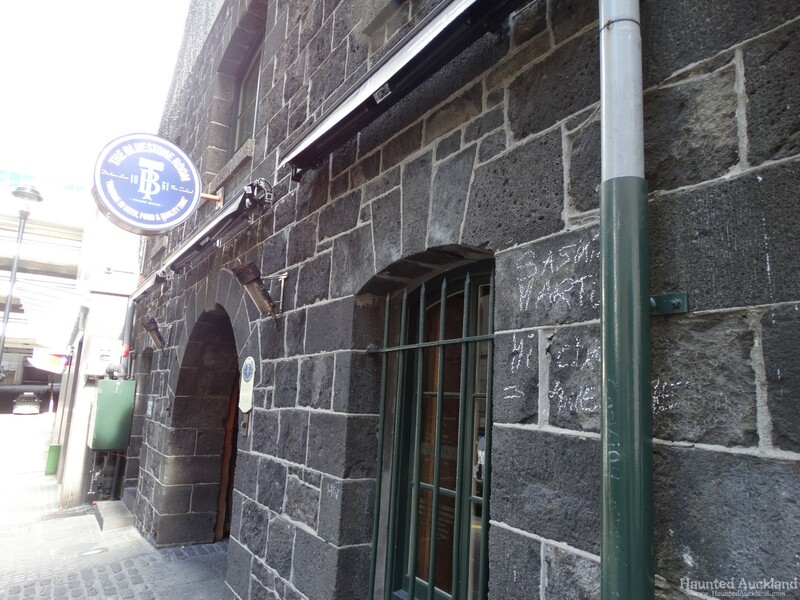 The exterior of the building is finished in basalt volcanic stone style in keeping with the original 1850s building. 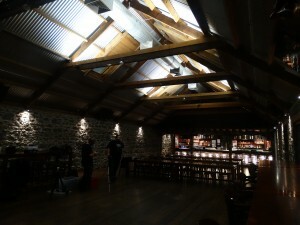 The employees were cleaning up so we moved and set up upstairs which seem to be the function room. The bar is modern and it is a very beautiful building. 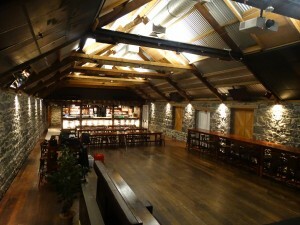 The floors are wooden and walls are stone, there are a few tables and chairs, some bar stools and a small stage. There is a bar at the back of the room and a ‘staff only’ area behind. Matthew – It is a long, low building. As you first enter it almost feels like you are starting at the basement level. Due to the slope of the land the building actually goes into the ground, so the top story is also at ground level once you get to the rear of the building. It has a typical pub feel, but with innovative styled lighting to highlight the bluestone construction of the walls. The building itself consists of two long floors fundamentally, designed to suit its original purpose as a warehouse for storage of goods. As the function of the building has changed over the years there has been additional rooms and stairwells added to the back and front of the building. The downstairs bar had a closed in feeling. Being a long room, with multiple pillars and railings, the observer gets the effect you often feel in long corridors with multiple doors; that feeling that something could peer out at you at any moment. It was possible for multiple people to be seated in parts of the room and not be immediately noticed as you walked the length of the building. 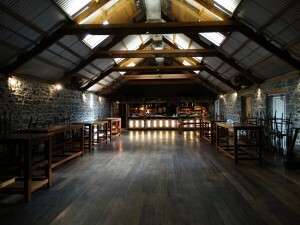 Mark – I’ve always loved this old building and have been to a few functions there through the years. 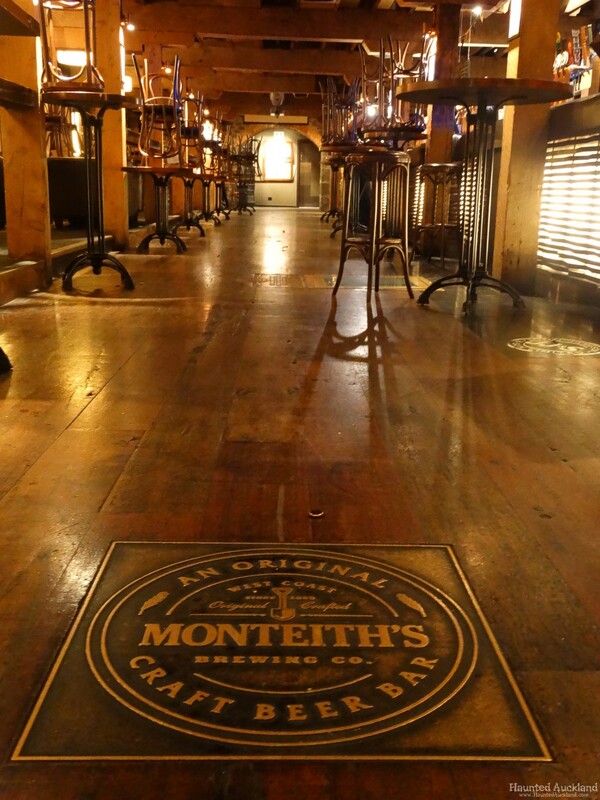 As soon as you walk in, you can almost smell the history of the place! 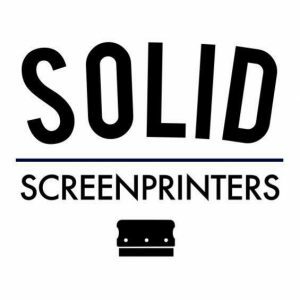 The solid stone walls and beautifully stained and polished woodwork is obviously well looked after and still maintains its stunning original charm and beauty. I’ve always found the overall vibe of the place to be forever friendly and positive and the staff have never abandoned their cheerful and welcoming personas. It is obvious, through talking to a few of them during my visits there, that they do hold a special loyalty, love and pride for the Bluestone Room. Something that is rare these days and so good to see. 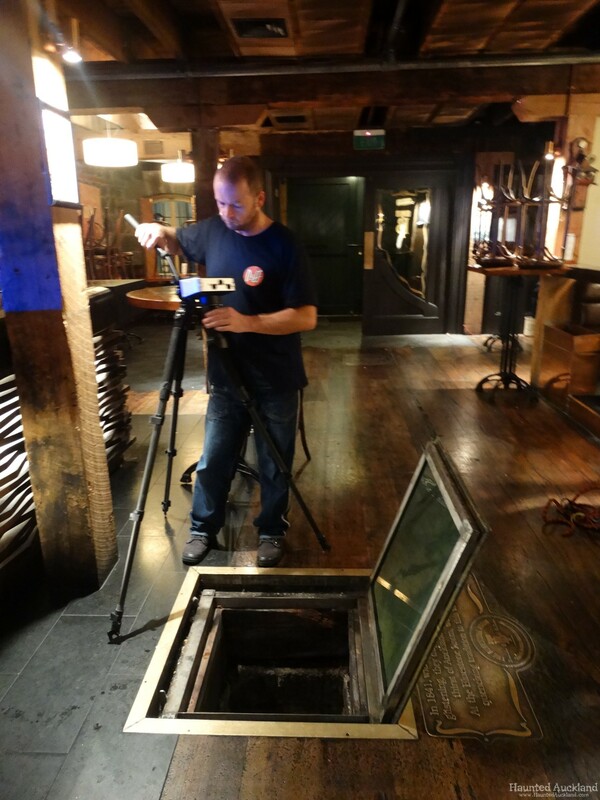 Ian – You enter from the ground floor into a modern bar, complete with a well, covered with a glass lid which was opened later in the night. We went upstairs first. There are a few small ‘staff only’ areas on the way up. Upstairs seems to be the function only area as it didn’t look like it was open to the public that night. 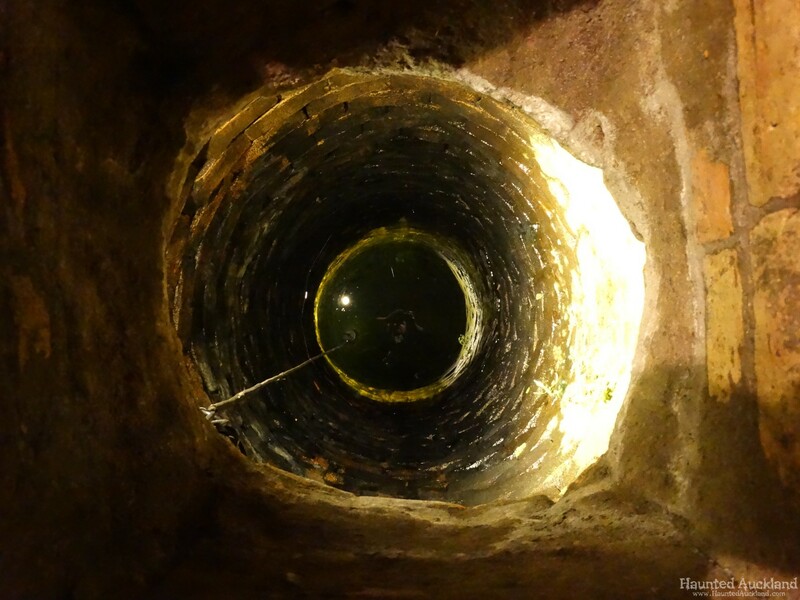 We could hear street noise through the walls and room, a noisy city area. 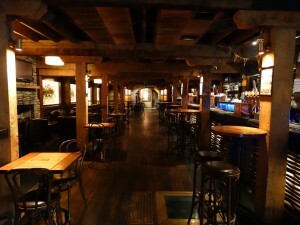 Downstairs is the main busy bar, stylishly decorated and with some tables and chairs in the area that they serve food. There are a few staff only areas which we did not go into but Mark did get into the computer and alarm room at the main entrance later in the night. 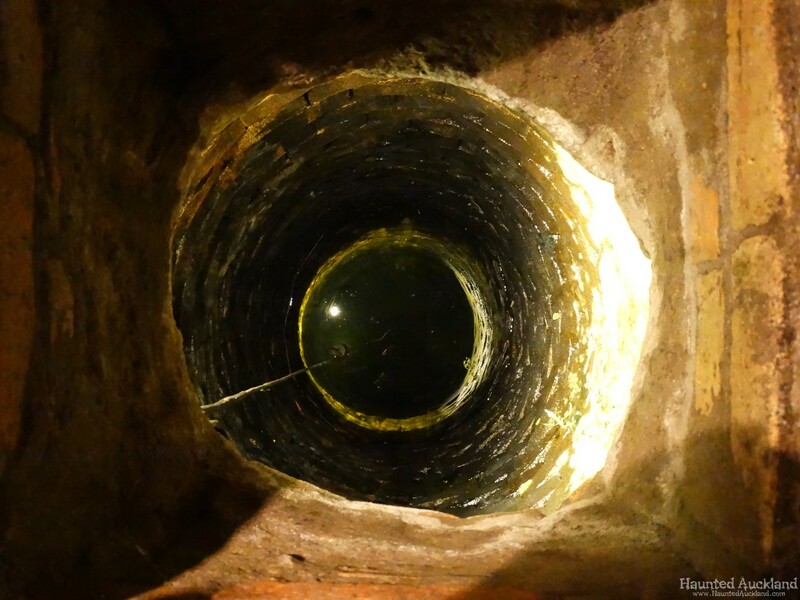 We were kindly allowed rare access to the historical well that is on the ground level bar. It is sealed with a solid glass lid, so that it can be walked on by patrons. On opening the lid we set about documenting the well in as many ways as possible. 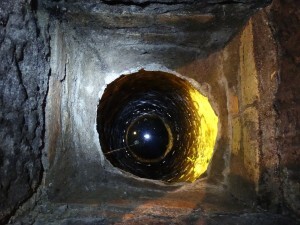 A Go-Pro camera was lowered down into the well by cable to film the interior and go deep down into the water that had filled a section of this fascinating piece of Auckland’s history. A fascinating experience and a true privilege indeed! 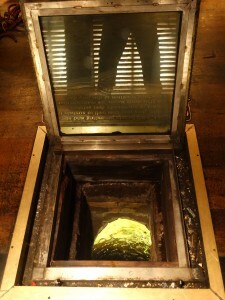 Mark – I didn’t personally experience anything that I would consider paranormal at this stage. However in the short time we were there this is quite understandable. I did hear a few creaks and bangs mostly coming from the iron roofing above, so I’m guessing that it would’ve been caused by general contraction of the steel as the night got cooler. I did however experience a moment of extreme dizziness and a headache whilst downstairs. 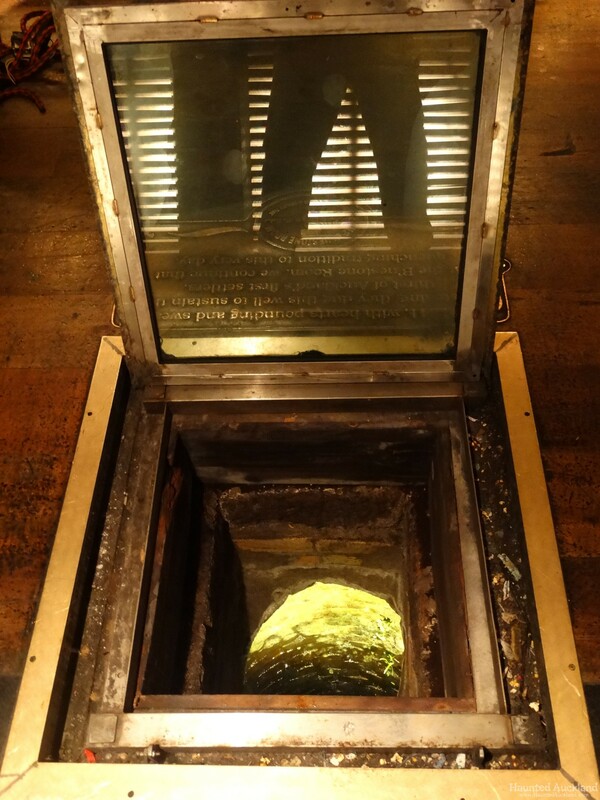 I was standing in a little alcove just inside the front entrance, looking at a shelving display of old historical trinkets and measuring temperatures and EMF levels in this area. I noted that the levels were totally off the scale. Even standing a good meter or so away from the wall and a door the meter was still showing extreme levels. In this area were a security alarm and a fire alarm box, plus a power switch. I was then overcome by a sudden dizziness and a piercing headache. Everything was ‘spinning’. I felt like I was going to collapse, so quickly moved from the area and sat down to regain myself. After a few minutes I was fine, so returned to the area to re-check and confirm the high EMF readings. The staff member there opened the door for me, revealing a small office the size of a wardrobe cupboard. In this room was a desk and multiple computer and monitors, various alarm boxes, meters, power sources etc and much wiring linking everything together. Again the EMF levels were extremely high. Not wanting to be affected again I quickly closed the door and moved away. High levels of EMF have been the cause of many apparent paranormal experiences. Under high amounts of energy field a person may encounter nausea, feelings of unease, paranoia and feelings of being watched, sickness, nightmares, hallucinations and other negative effects. Matt – While seated in the upstairs function area alone, I was conducting a communication session while wearing headphones amplified through a recorder. During this time I heard multiple knocks and taps, however none of these appeared to be in response to any of my questions, and none would repeat on queue. 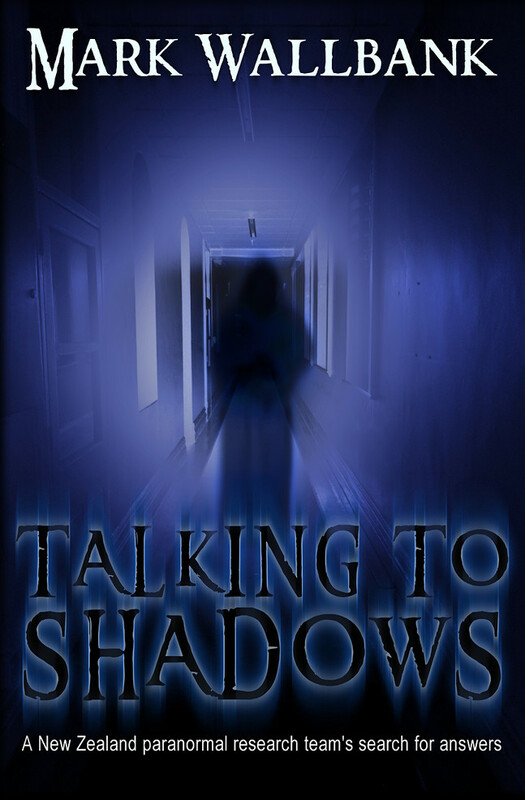 One particularly knock did give me fright at one stage, as it was much louder than I was expecting through the headphones, however I could not find anything that could have caused it, other than the normal settling noises that all buildings make. At one point, I believe I saw a brief shadow move in the rear entrance-way into the upstairs function room. However upon reviewing the video from a DVR pointed in that direction, nothing appeared to be visible at the time. Given this event occurred at approximately 3:00am, and I had been awake for 20 hours, I believe this shadow was simply visual anomaly caused by tiredness. Ian – It was only a short investigation. We did not have any control over the outside noise so it was hard to tell if noises and voices we heard were from the street or not. 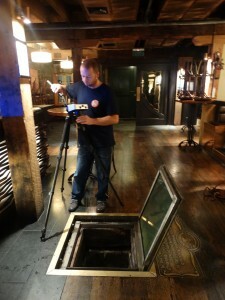 I did not feel like it was a typical investigation because it was in a brightly lit bar. I think we did everything we could in such a short time. There are only 2 large open rooms that we had access to and behind the bars. It was great to have the well opened even though as expected the Go-Pro didn’t capture anything unusual, worth a try. I recorded the whole investigation but apart from some taps just after questions, nothing unusual recorded. I did make some audio recordings but it is not clear if they show any unusual activity. The buildings past does not highlight any event or person that might cause any energy or activity. It is a nice bar but in my opinion there is a history of companies being based here but only the jail is one that might have caused a long term effect. I think the bar staff might like something going on but I don’t think we could find much here. Very nice place but I don’t feel like it’s one to look further into. Matthew – Given the two-hour investigation window, it is difficult to fully pass judgement on the property. I did not experience anything which would lead me to believe the building is haunted, however that is not to say that activity could be occurring, and that we simply did not witness it during our brief time there. Being one of the oldest buildings in downtown Auckland, the Bluestone Room will have certainly seen a lot of life over the last 175 years, and if those stone walls could talk, I’m sure they’d have plenty of stories to tell. 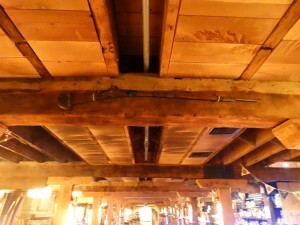 A gun mounted in the ceiling. 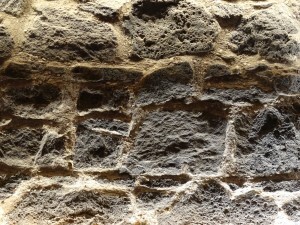 Mark – I would really like to spend more time within those stone walls. 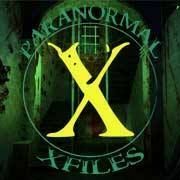 While we didn’t capture, see, hear or feel anything that could be considered paranormal in our time there, we cannot discount the many stories that have been forthcoming throughout the years. 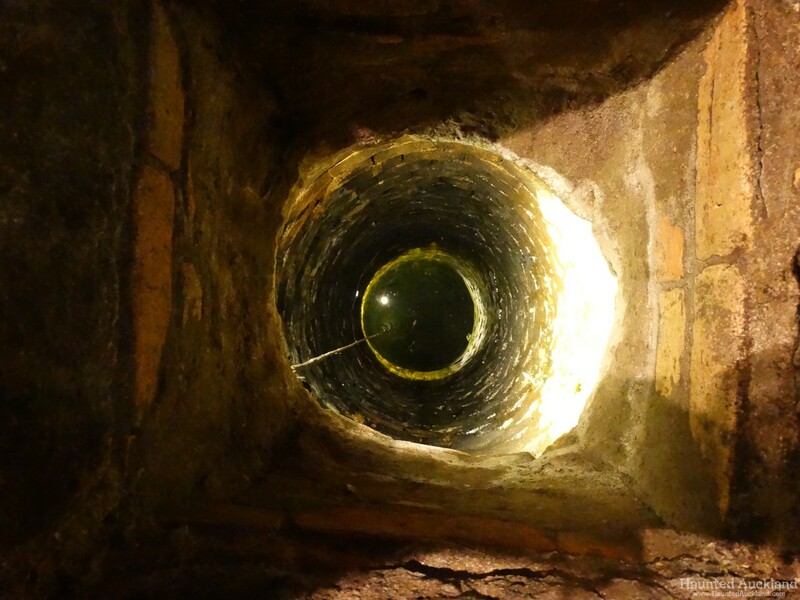 Whether the stories are just a case of drunken misidentification, natural occurrence, expanded rumours, urban legend, or ‘Chinese whispers’, they still stand up as interesting tales that have travelled through time. Even as a child, too young to get into drinking establishments to see live music, I had heard about this place and some of the stories of shadows, footsteps and other mysterious goings in its early years as a rock venue. Being a live music lover, I would’ve liked to have seen the venue as it was in those days. Better late than never I guess. I was also glad that I got to experience first hand (and for the first time), the full potential of EMF (electromagnetic field), as it really opened my eyes as to how these fields can affect people. This knowledge will definitely be a big help in my future research. 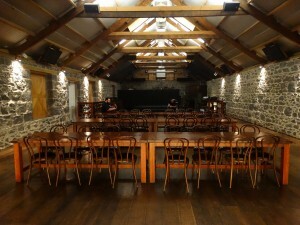 The team would like to extend a huge Thank You to the management of the Bluestone Room for allowing us rare after-hours access behind the scenes in this beautiful building, and the staff that were so helpful with information and assisting us during our session. Played here in The Action 1965…we were the resident band ..great club many memories…a few told me of seeing a woman down the back drifting through….